Operating wastewater treatment plants in flood-prone and sandy areas is fraught with hazard. 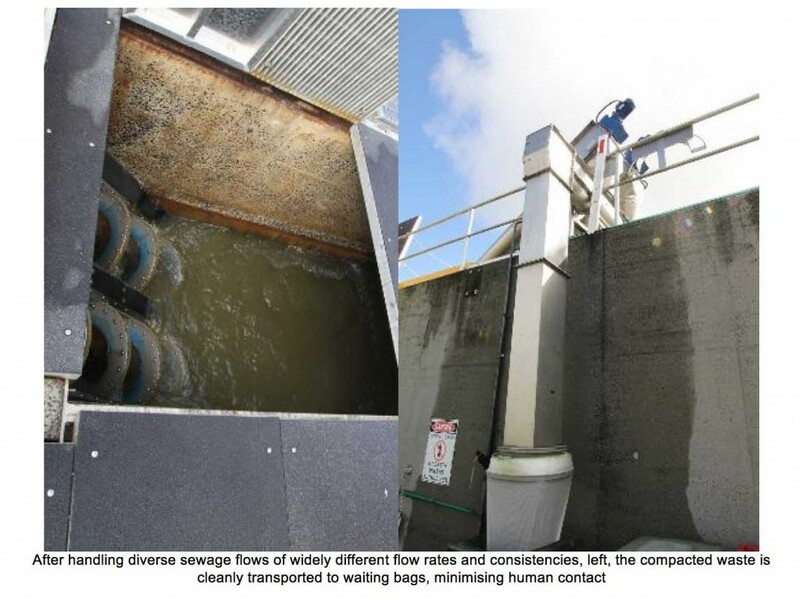 Overflows and clogging resulting from storms can not only result in smelly, unhealthy and damaging discharges into environmentally sensitive waterways, but also pose OH&S hazards to those charged with the dirty and heavy work of clean-ups. 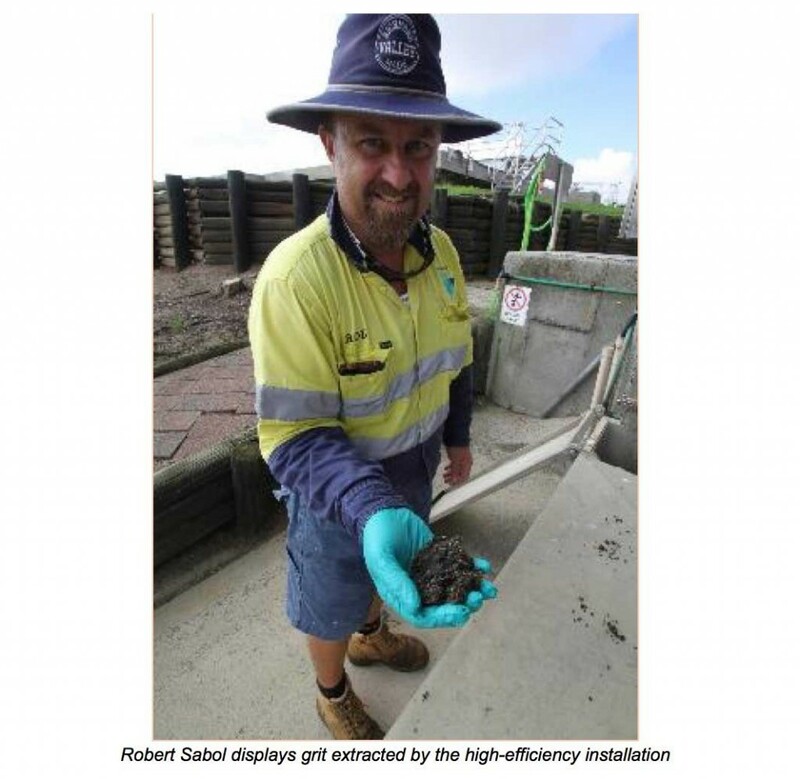 One organisation that has overcome the problem in a long-term and cost-efficient manner is the Richmond Valley Council, which is now reaping the dividends of installing new fine screening and waste extractor technologies at its Casino and Coraki Sewage Treatment plants. The fine grit extraction technology involved, from CST Wastewater Solutions, is suitable for local authority and industrial applications, such as food and beverage, manufacturing and processing, mining, energy and resources camps where its low maintenance, high hygiene qualities are appreciated. It is also applicable to agribusiness and installations where low maintenance and high efficiency is a priority for users who don’t need to have specialist staff constantly available. In the Richmond Valley applications, the new grit removal technologies have extensively proved themselves in service in their first year of service in the Northern Rivers Region, where rainfall can vary from about 600-2900mm a year, including 187.6mm on March 31 this year. The Casino and Coraki retrofit projects replaced the previous coarse raked screen design which not only allowed more solids to pass through to foul processing downstream, but also had to be manually and laboriously raked out when they clogged during high-flow events. The new screening retrofit – combined with grit removal and clean bagging processes – captures more solids to reduce potential blockages in tanks and downstream equipment, while reducing odours by sealing the inlet works and by the installation of new odour control units. The project’s high-efficiency fine screening SFC technology (Screen Press For Channel Installation) is engineered to deliver low-maintenance performance with reduced WHS hazards for municipal and industrial wastewater operators. The SFC allows for a much finer level of screening – 5mm compared with typical old systems at 60mm or more – which has led to a significant reduction in solids in the tanks, while producing more efficient treatment with less maintenance. Specified to handle flows of up to 500 litres a second, the Casino installation has coped flawlessly with everything nature had to throw at it in its first year of operation, including some of the worst floods in the district for years. “It just keeps on turning over, taking out the waste that could block the system’s downstream processes and cause unwanted discharges and maintenance,” says Casino WWTP Senior Operator Robert Sabol. Compacted and dewatered waste extracted from the system is automatically channeled into waiting bagging containers, where it is neatly collected without the need for direct handling of waste. Nor do operations staff have to get into the screening system with rakes and levers to clear blockages, which was a time-consuming and messy business with old coarse screening. “Servicing of this system involves next to nothing compared with the old way. It is so easy and efficient. It can’t get any easier, whereas the old coarse screen would just clog up and block.” Sustainability of the new system is further enhanced by the energy savings it produces, typically .8kw on a 24-hour cycle. The Casino retrofit also involved the installation of an SDS 20 compactor with two inlets – one for each screen – to dewater screenings to 25-30% dry solids. Each screen has an enhanced design capacity of 250L/s flow, providing a total capacity of 500L/s. The original inlet works at Casino STP were designed with a coarse manual raked bar screen system. The functional components of the treatment process downstream of the bar screen receive a high amount of debris, which formerly impacted the efficiency of the treatment process. The original inlet area also received a high amount of odorous gases, which previously contributed significantly to odours emanating from the treatment plant. In addition to minimising these issues, the upgrade project involved fitting new technology into an existing layout, including tailoring the screens to fit into the existing formed channel. 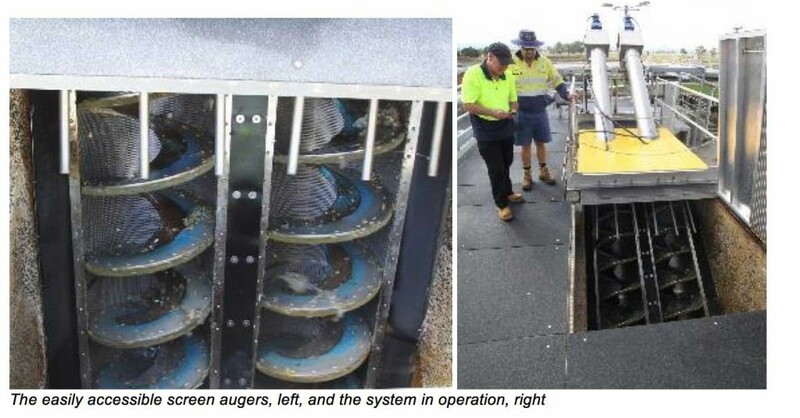 Richmond Valley Council’s Coraki plant – a smaller installation than Casino, but also subject to similar operational issues – was upgraded simultaneously with fine screen technology combined with an integrated grit removal long tank system. CST Wastewater Solutions Engineer Mr Peter Bambridge says the integrated and automated Coraki system and the larger Casino system are eminently suited to service in both Australian and New Zealand municipal and industrial environments. “Not only are the WWTP tanks clearer and more efficient now, but the Casino screen extractor also operates on level control and is fully automated, like the Coraki installation, thus eliminating the previous labour-intensive operator handling of screenings,” he said. CST Wastewater Solutions’ robust and proven extractors are constructed from AISI 304 or 316 stainless steel without the need for hanger, intermediate or bottom bearings. Featuring a space-efficient design suited to small sewage plants, the standard unit can handle up to 1000m3 an hour with custom engineering also available for particular installations. A vertical version is also available to easily retrofit into existing pump stations, and, with depths up to 8m, the screen allows removal of material before pumping. The versatile SFC Screen Extractor can be installed in a channel or supplied with self-supporting tank, complete with inlet and outlet flange and optional bypass screen.